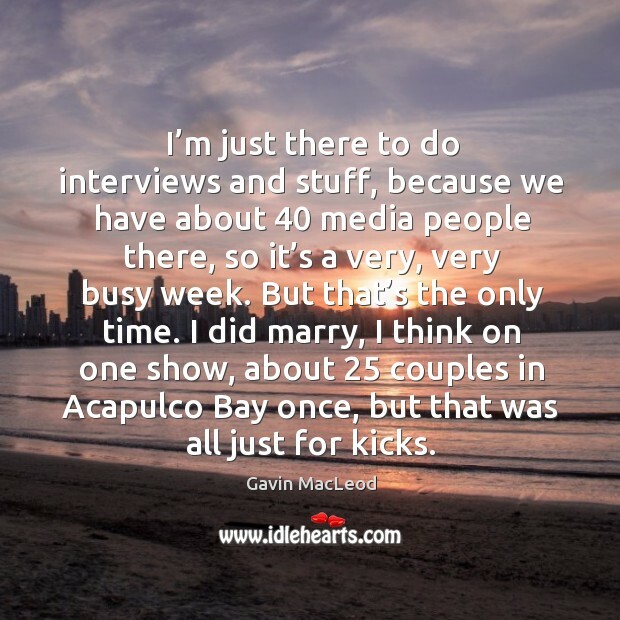 Quotations about Acapulco. Quotes to stimulate mind and drive action! Use the words and quote images to feed your brain inspiring things daily! right' i said. 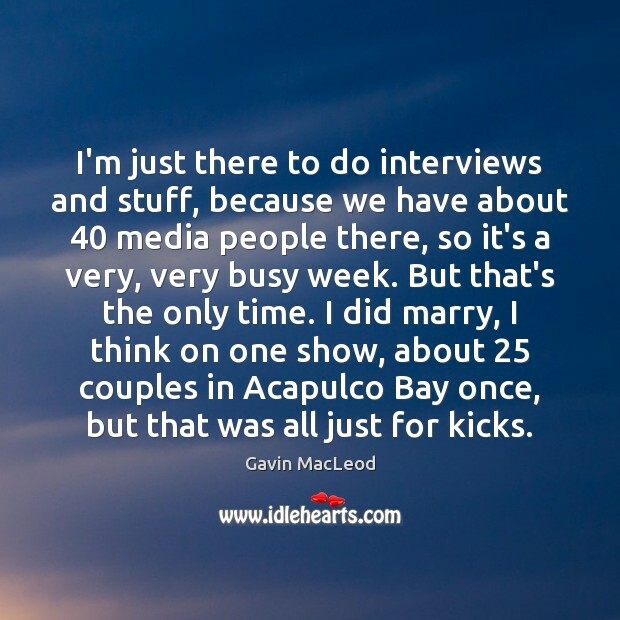 'but first, we need the car. and after that, the cocaine. 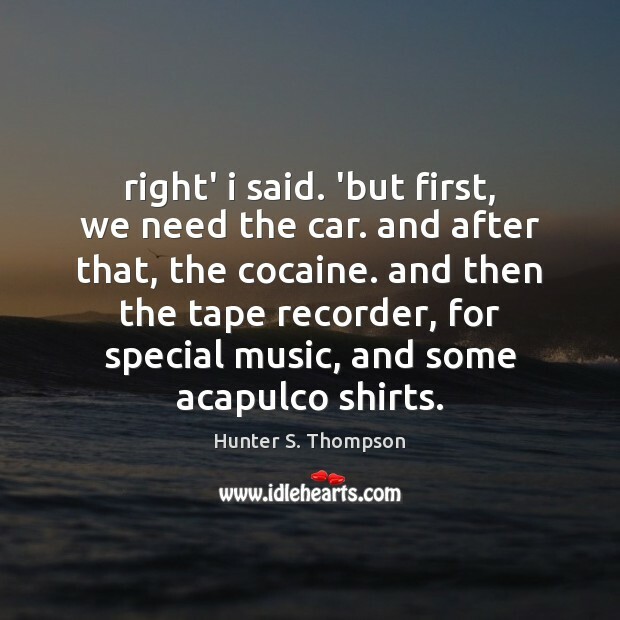 and then the tape recorder, for special music, and some acapulco shirts. 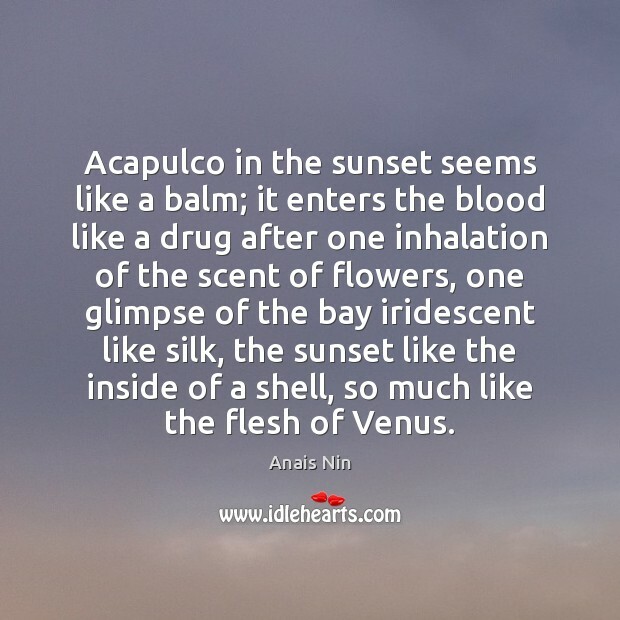 Acapulco in the sunset seems like a balm; it enters the blood like a drug after one inhalation of the scent of flowers, one glimpse of the bay iridescent like silk, the sunset like the inside of a shell, so much like the flesh of Venus. I've only been on one vacation ever. 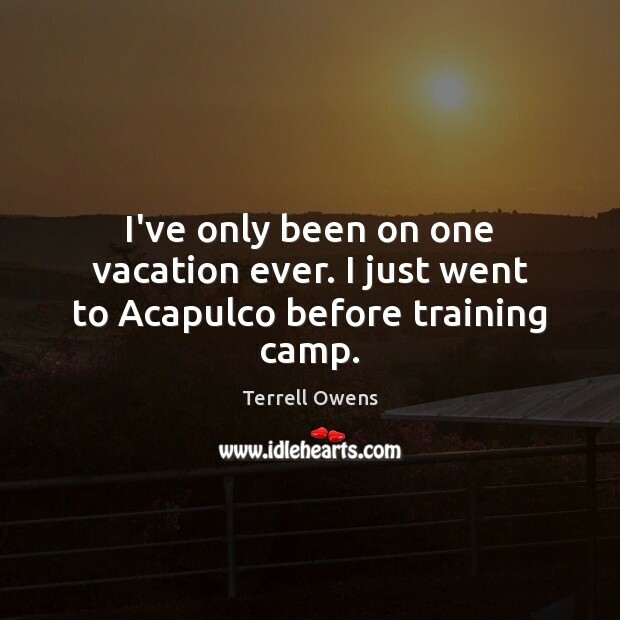 I just went to Acapulco before training camp. I felt completely at home in Mexico - speaking Spanish to my cousins, running around Acapulco and stuffing my face with mole and homemade tortillas. Mexico opened my heart. 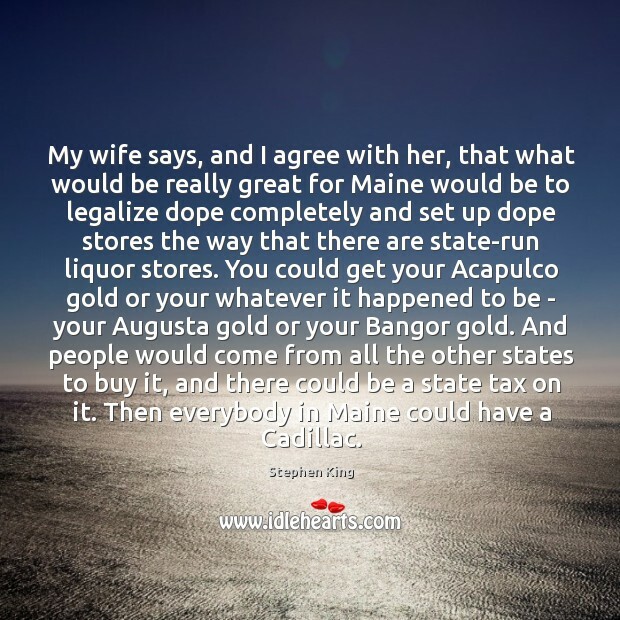 My wife says, and I agree with her, that what would be really great for Maine would be to legalize dope completely and set up dope stores the way that there are state-run liquor stores. You could get your Acapulco gold or your whatever it happened to be - your Augusta gold or your Bangor gold. And people would come from all the other states to buy it, and there could be a state tax on it. Then everybody in Maine could have a Cadillac. 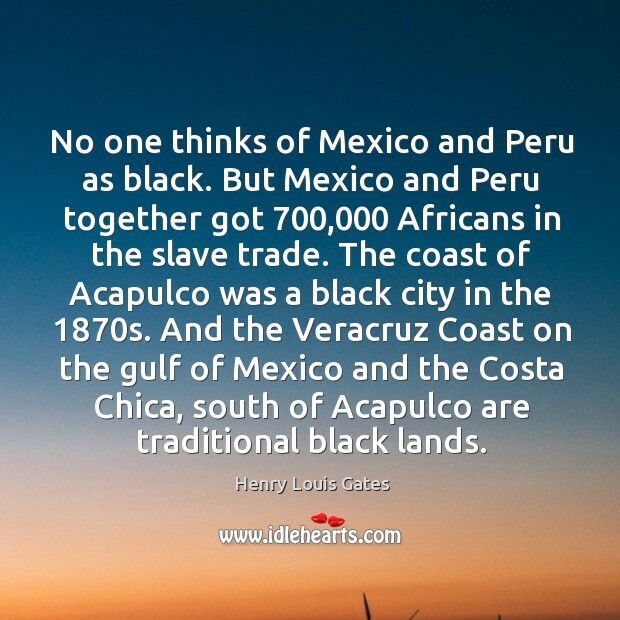 No one thinks of Mexico and Peru as black. But Mexico and Peru together got 700,000 Africans in the slave trade. The coast of Acapulco was a black city in the 1870s. And the Veracruz Coast on the gulf of Mexico and the Costa Chica, south of Acapulco are traditional black lands.